The title of these items might sound a bit vague but that's because these lovely hearts can be made into keyrings, hanging decorations, tied together to make bunting, big cushions or anything else you can think of! Tell me what you want and how big you want it and I'll give you a price! 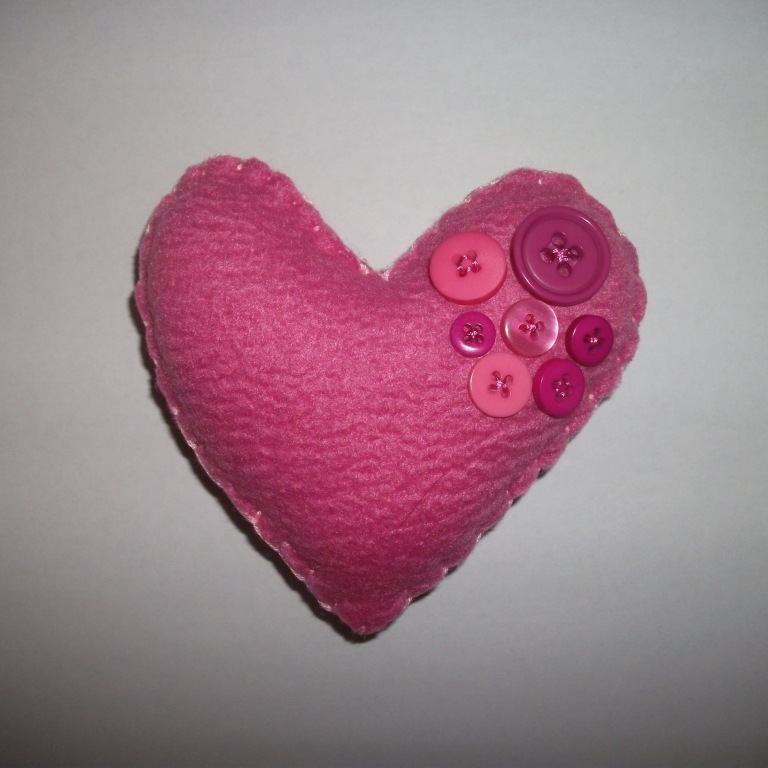 Original cute little sample could be used as a pin cushion for £3 each. Cushion is 23cm x 21cm and has 17 buttons sewn onto the corner with light satin pink thread and light pink embroidery thread for the bigger buttons! Assorted button sizes and your choice of colours. x2 peices of fleece blanket stitched together and filled with soft toy stuffing. Perfect as a decorative items but can be cleaned with a damp cloth too! 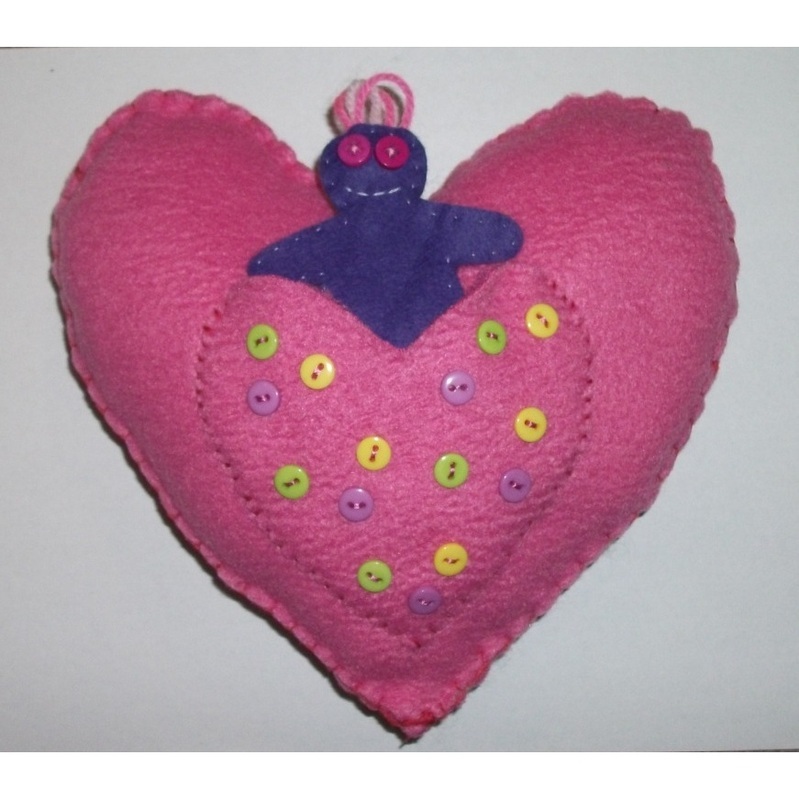 Originally made for the February giveaway I've decided to sell this as another addition to the fleece cushion range. 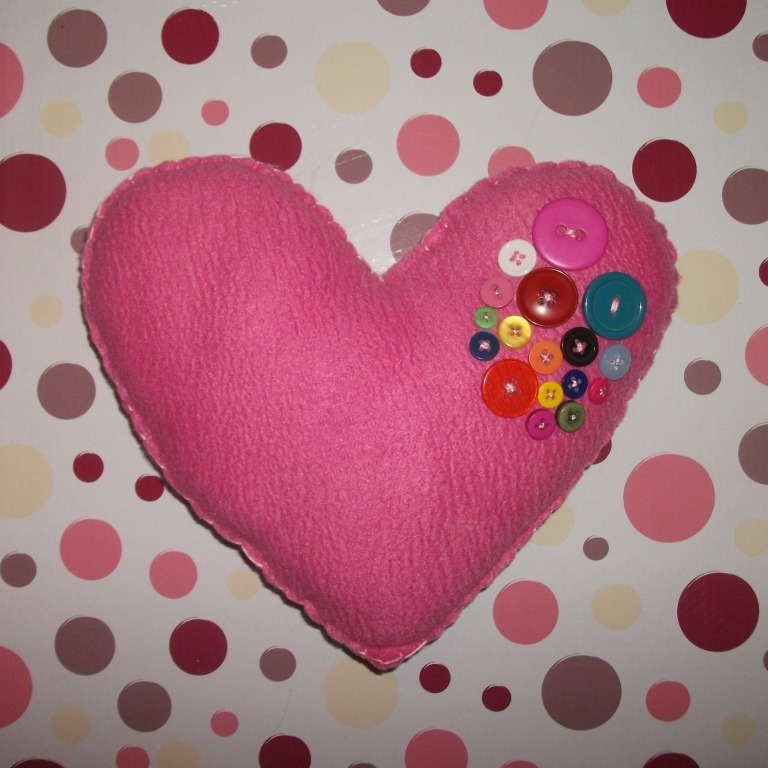 Each cushion is approx 22cm x 21cm of two pieces of pink felt blanket stitched together with a heart shaped pocket with buttons on the front and comes with a a hollow fibre filled version of the finger puppet as picture.